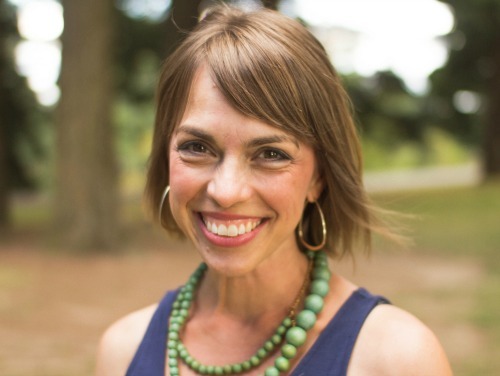 This morning, I’m pleased to share a piece I wrote for Sunday Circle Group — a new collective for which I’m a contributor — about meeting God in the bathtub. You can click here to become part of the circle, which is open to all. After going through a painful church transition just over a year ago with my family, and feeling the loss and sorrow of displacement, I felt a special nudge to join with this team (as a “wordsmith” — love that word) to come alongside those who might feel on the outside or are simply seeking God “on the backroads of faith,” as they say at Outside the City Gate. Here is my offering this morning. I wrote it several weeks ago, and so it is a sort of prelude to my thoughts on fearlessness Friday because receiving rest and the truth of my belovedness do precede my being able to walk forth in courage. Perhaps that’s true for you? I’ll be contributing to the Sunday Circle every six weeks or so, but if you want to receive these small and encouraging Sunday emails, which include visual art, photography, poetry and song, please do go here to subscribe. We’d love to have you! “It’s like I’m being remade on the inside,” I told my friend this morning at the end of our walk, standing in front of my house in the crisp winter air, just past the reach of the crabapple and its naked, low-hanging branches. “I know it’s really good work that God is doing, and I’m also so, so tired,” I told her, and she nodded, tenderness in her eyes. I referred to many things in that moment, and she understood that, too. This doing the next thing and then the rapid-fire next, this taking courage while literally shaking fear, this choice to believe what God says moment to moment when well-worn pathways of self-condemnation and worry feel like home. An hour later, I returned to a quiet house after taking my girls to school, ideas and responsibilities clambering, and I sat with a cup of coffee and some favorite words, recognized anxiety doing its thing in the fibers just below my skin. When you’re being remade, you talk to yourself a lot, putting on truth like clothes, seeking to claim life that shines through lies. I looked through the window to the bright blue sky and thought of all I needed to do, about the push-back I’ve been getting on a big project and how much it all makes me want to rest. And I spoke from the thinking-out-loud-mixed-with-prayer place that has become regular for me during the weekdays, now that I’m regularly alone at home for the first time in nearly 13 years (my three girls all at the K-8 school down the street). “I need to take a shower and get ready, so I can have a fresh start on the day,” I said. “It just sounds so nice to get into a hot bath with a magazine,” I added, sort of longingly. And I clearly felt God say, Do it. Now, please. You are heavy laden, and I will give you rest. Receive my rest. With all the big risks of my past year and the many ways I feel poured out, it took me by surprise how risky and lavish a filled bathtub seemed. “No, pretty much just showers,” I answered. “Why? Don’t you like baths?” she asked. “I do, honey, but I don’t ever really make the time for them,” I answered. A week later, I’d forgotten all about our conversation, with no intention of stepping into steaming water with a home magazine on an ordinary morning, until my think-out-loud prayer surfaced. 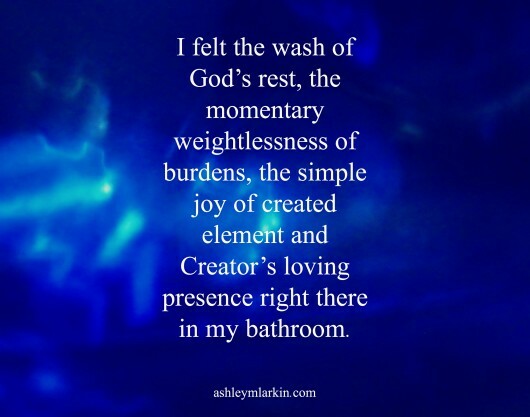 In Exodus 33, God tells Moses, “My presence shall go with you, and I will give you rest.” As I entered the water this morning, I felt the wash of God’s rest, the momentary weightlessness of burdens, the simple joy of created element and Creator’s loving presence right there in my bathroom. This rest, this simple pleasure filled me, and I felt God’s joy as I relished what he offered. My Tuesday bath was some kind of worship because worship’s not only about what we do as unto the Lord, but also how we receive. I’m so glad to have met you! I completely agree with you. It is very much about the overflow, isn’t it? For some reason, I can fool myself into believing I can handle the next thing without him — which is usually just moments away from me crashing and burning. But how different when we can receive the gift of God’s presence and tender love for us and allow that to be our gift (in the receiving and the giving). Bless you on this journey, and thanks so much for your comment! I know we both struggle with this in our own ways, Becca. I am praying for you, sister — that you would be able to receive an extra dose of “being” and enjoying God’s presence… that you would be able to be still with God when he calls — listening to him over the voice of the world that never stops shouting “Do, Do!” I love you. Your post really touched my heart. I feel like I am being remade from the inside and I too, am weary. Your post brought tears to my eyes and I felt like I belonged. Thank you so much for sharing yourself. Oh, Susan. Praying for you right now — that God would give you grace for the journey. That you would know deeply the belonging of his presence and tenderness to you as you continue to say yes (and even sometimes no) through this very hard re-making work. May you know how much you are loved today.